Every time I try to access my university account, I have to type in my username and password. Strangely, this only happens on my Samsung galaxy tab s, but not my phone which has all my details ready to log in. The only thing it does is give me a suggestion for my username when I type the first letter of my username. Both are synched to my maxthon account. Please help me with this because I use my tablet a lot for uni, thanks. Anyone else suffer the same problem? It's been bugging me as well. There are some systems that, even though you have everything set correctly, usernames and passwords will not be remembered. For example, there are a couple of banks that I use that don't do it and yes, it is aggravating. Don't know if your University does that, but that may possibly be the answer to your problem. Don't know if your University does that, but that may possibly be the answer to your problem. My uni doesn't have any problems with managing my login details, as proven by Maxthon on my phone. It's only when I'm on my tablet that it refuses to do so. And syncing the settings have not helped either. 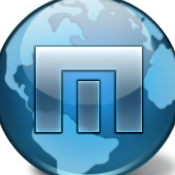 My only guess is that the problem lies with Maxthon's compatibility with my tablet somehow..
so it's a specific maxton for android issue ? Well, my phone's on android and it's working, so it's just my tablet which runs on android kitkat. Don't know if that info helps. Tried re-installing, still didn't work. Didn't prompt me to save password and details at all. Not sure what else to do. My password is pretty long, and I don't want to have to retype it every single time. By the way, may I know which tablet you used out of curiosity. For the amount I paid for my Samsung tablet, I'm starting to regret buying it. It's like this on my iPhone 6 with iOS beta 8.4 Beta 3.